Global companies like Microsoft and Google have fitted out their workplaces with Activity Based Workstations years ago and have reaped the benefits since. It’s no secret that the headquarters of multi-million dollar companies are renowned for their modern hubs with state of the art technology. Even renowned banks like BankWest, Macquarie Bank, NAB and the Commonwealth Bank have forgone traditional cubicles in favour of turning their offices into Activity Based Workplaces (ABW). The end result being a workplace with surprising benefits for both the employee and company. 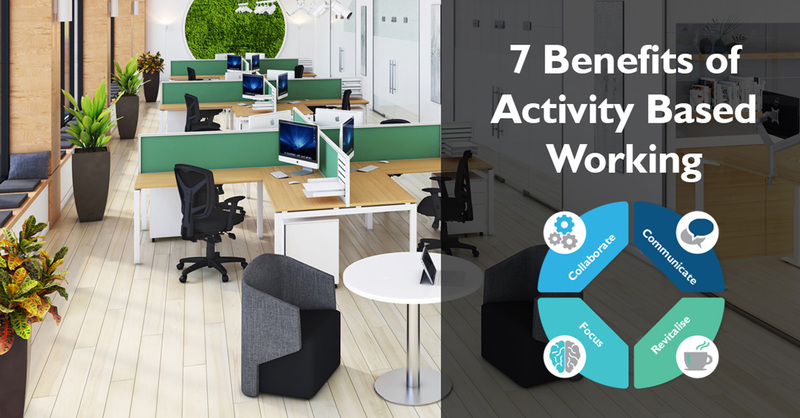 Activity Based Working is all about you and your workplace . . . . . It’s about people, place and technology working together in a more productive and enjoyable way. ABW’s allow employees to transition to different spaces that will support their needs for particular tasks. This is achieved with agile furniture as well as screening to provide ‘hubs’ for collaboration, meeting spaces, lounging areas, teleconferencing rooms and individual workstations. Having a space that supports the type of work employees are undertaking not only allows them to be more focused, but also more motivated in the task. Whether the task is communication based, collaboration based or requires singular concentration. s the workforce evolves, companies must evolve too and understand the needs of the employee, from agile and flexible settings to flexible hours to get the job done. A comprehensive ABW allows employees the freedom to choose where they work, how they work and when they work. Essentially, there is a certain element of trust from employer to employee which revolves around allowing them to have flexibility in where they work and trusting them to be on task. They can work on a laptop on a lounge, in a booth, or in a relaxed café setting. They can agree to meet with their co-workers in a designated space that supports group collaboration or one that allows for private conversation. Throughout the work day you think differently depending on the task. …Why shouldn’t the environment you occupy think differently as well? When employees “own” a cubicle, they have an assigned space and can often get stuck in the 9-5 grind. One of the biggest problems with cubicle working is the fact that people are so isolated and team members don’t have a lot of face-to-face interaction with other people. It’s no secret that sedentary lifestyles go hand in hand with office environments. Many office workers can spend more than 9 hours per day sitting, leading to a 10% increase in the risk of breast and colon cancer, 6% increase in the risk of heart disease, and 7% increase in the risk of type 2 diabetes. 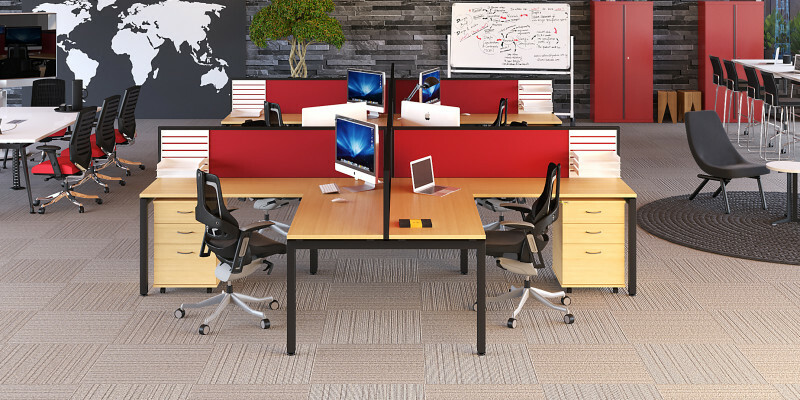 An ABW allows employees to get out of their chair and use the space. As you get up and move around throughout the workday you’re stretching your muscles and pumping more blood to the brain which improves concentration. Tracking the cost per person as a key metric is an effective way to measure and optimise the usage of space and what employees need (floor space, desks, chairs, computer, stationary and printing). By transitioning from dedicated individual workstations to shared spaces that are used as needed, businesses can minimise wasted space and cut their cost per person nearly in half. Office equipment alone can account for up to 20% of electricity costs needed to run and maintain computers, desking, operator chairs, fax machines, printers, photocopiers and internal cabling. These new layouts result in less time spent at desks and encourage the use of laptops which use up to 90% less electricity than desktops. According to research by McKinsey, emissions from buildings are responsible for 40% of all global emissions and contribute up to 80% of total greenhouse gas emissions in our cities and towns. Macquarie Group’s new building in Sydney is home to 25,000 employees and since they implemented ABW with an increased reliance on laptops and cloud storage rather than desktops and paper, they reduced carbon emissions by an estimated 8,000 tonnes. Paper use was decreased by 73% and printing by 52%. This limits the need for desktop space, overall floor space and a creates a 30% reduction in floor space needed. Resulting in a 30% reduction in carbon emissions. 60% of employees said the new style of working increased their personal job satisfaction with 92% even saying it’s a more fun and engaging environment. We all know happy employees make productive employees. A dynamic and fresh space may be just what is needed to energise and motivate employees to achieve better results. Evidently, we can expect to see an influx of even more companies, big and small, looking to follow suit and upgrade their workplaces. It’s important to note that there is no one size fits all scheme. 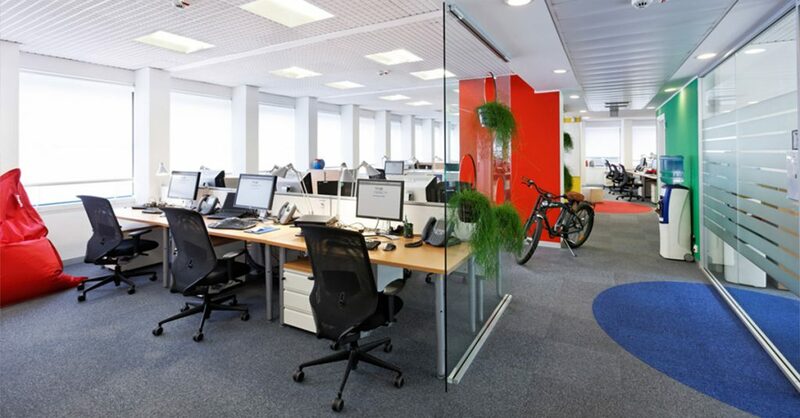 Every office is different and has different requirements for design and layout. However, with thorough consultation and a cohesive vision…any business can turn their office into an Activity Based Workplace.